For wildlife plantings, the benefits of using trees and shrubs as a food source vs. an annual food plot, include having a food source year round with fewer inputs from the landowner. Importance should be put on the source of the trees being planted, a local provenance seed source will be able to withstand the weather extremes of the Midwest region much better than trees sourced from other regions of the US. Our #3 RM’s are an ideal size for habitat & conservation plantings (see pic to right). 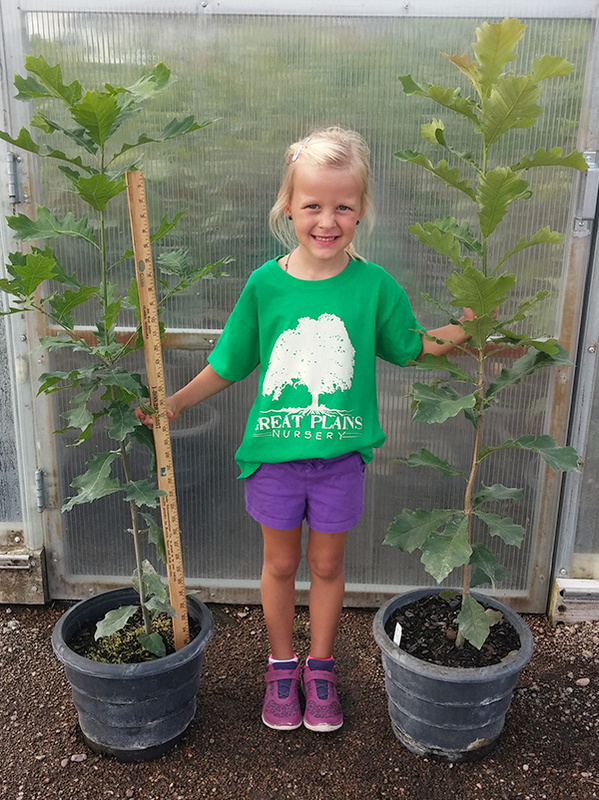 Great Plains Nursery offers contract growing for Conservation project, Environmental Mitigation project, and Reforestation Projects. With a lead-time of 1-2 seasons we can grow specified regionally native species of local provenance for your project. 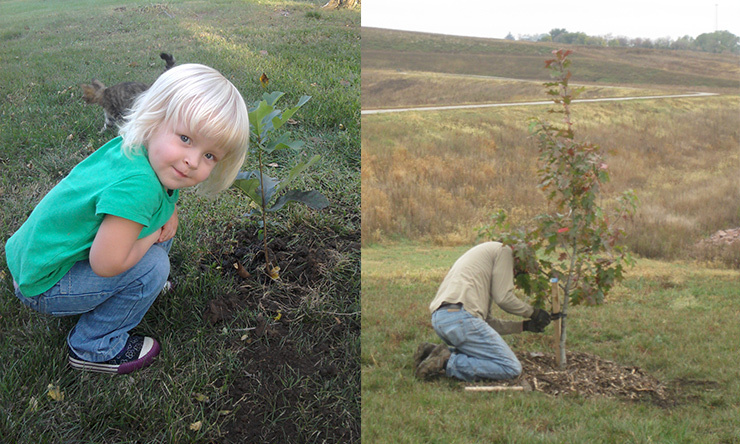 Native tree and shrub seed can even be collected from the specific site to be grown in our Great Plains Method™. Our growing method emphasizes proper root development, stem caliper growth and a natural branch structure. Plant material grown in this method ensures they transplant, establish and thrive in a low maintenance site. #3 RM size – 3-5 ft.
We supply plant material for projects of any size throughout the Midwest Region and offer direct delivery or planting services. Our highly trained planting crew, spends great time studying project specifications and pays close attention to BMP’s (Best Management Practices) for correct planting and on-going tree care such as planting depth, correcting any root concerns, proper mulch application and adequate water for more vertical movement of water into the root zone. This insures the best start possible for your conservation project, mitigation project, or reforestation project. Biological diversity is the key to the maintenance of the world as we know it. 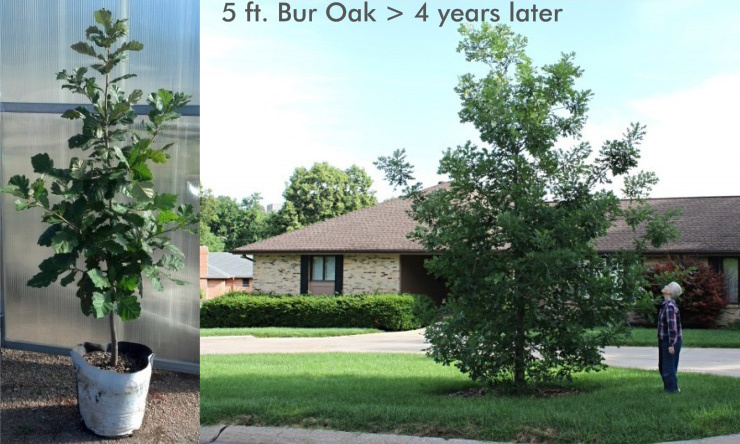 The roots of a small plant can quickly establish in the surrounding soil and adjust to the soil & moisture conditions to support new growth of the tree.